An artist with an amazing I and the talent be on most. 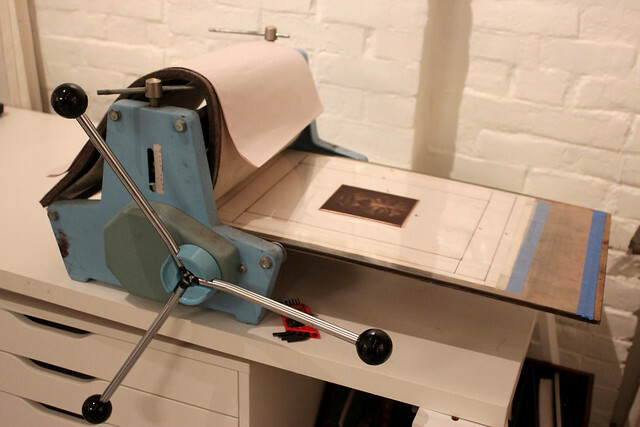 My pre-rocked mezzotint plate arrived from Graphic Chemical two days ago. I was really excited about getting to work on the plate. 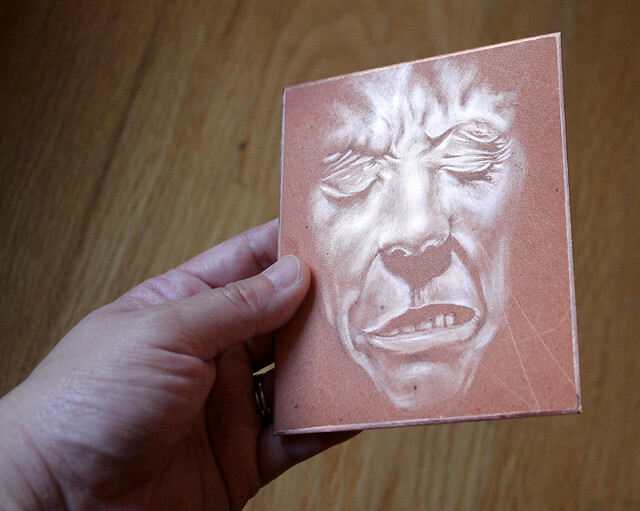 I tried to forget that I was working on a 4″ x 5″ plate that cost $35! I started out very lightly, sketching in a basic outline with a pencil on the surface of the rocked ground. The ground seemed very fine, so I was very conservative when I started scraping and burnishing into the surface of the plate. Since I can’t add blacks back into the image, I figured that it’s better to scrape less, print a proof, and then see how far the image went.